Lakeland Homicide Defense Attorney - Lawyer, Providing Professional Homicide / Muder / Manslaughter Criminal Defense Attorney legal services for Lakeland, Winter Haven, Bartow, Polk County, and the surrounding Central Florida area. 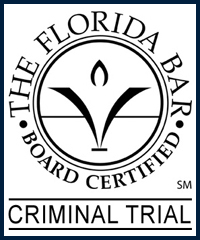 Call 863.660.2185 to Speak with Lakeland Homicide / Muder / Manslaughter Criminal Defense Attorney / Lawyer, Joshua E. Schoen. A homicide is generally considered to have occurred when the untimely death of an individual is the direct result of the actions of another. There are two types of Homicide; Murder and Manslaughter. Murder generally involves cases where their is evidence where intent and/or premeditation to end another persons life exists, and/or premeditation, and in some cases, violence or other serious actions that directly contributed to the death of the victim warrants a murder charge. Manslaughter may involve the untimely death of a victim that resulted due to the recklessness, carelessness, or negligence of another. A motive may or may not be necessary to charge the accused of Manslaughter. Manslaughter does not have typically relate to a homicide where intent can be established. When a plea bargain is offered for a reduced charge of murder, often times the plea offer may be a manslaughter charge, which does not include the death penalty. In short, the main difference between a criminal charge of murder vs. manslaughter is if evidence exists the infers intent and/or premeditation to commit the homicide. The maximum penalty for they highest degree of murder (1st degree murder) is life imprisonment without the possibility of parole. A capital murder (1st degree murder may involve the convicted person, or persons to be awarded the death penalty by the judge or jury, depending if the trial is a jury trial or not. The maximum penalty for a manslaughter (first degree felony manslaughter) conviction is 30 years in prison, and a $15,000 fine. Protect your rights by seeking the legal advice and representation of an experienced Lakeland Homicide Criminal Defense Attorney / Lawyer. Contact Lakeland Homicide / Muder / Manslaughter Criminal Defense Attorney / Lawyer Joshua E. Schoen at 863.660.2185 in the Lakeland, Winter Haven, Bartow, Polk County, and the surrounding Central Florida area.